Slow-Carb huh? I know, I know, but hear me out! Keto’s been amazing to me. If you have read any of my posts from 2016, you’ll know how much of an advocate I was and continue to be of reducing the carbs in the diet. At least it helped me. It isn’t as much a generalized blanket statement, as much as it is the truth for so many of us who have seen the benefits once we reduce them from our diet. Think of it as allergies. Some of us have, some don’t, and we do what we have to, so we can live better. I’ve had bad knees since my 30s and because of the surgeries and drop in cartilage, osteoarthritis is setting in quicker than it should. Like 30 years sooner than it should appear, but past is past, and no point going over the why, but I just have to pull up my socks and deal with it. Keto is restrictive. As a vegetarian it does get super restrictive, but I would never say never to anything, so of course it’s possible if you set your mind to it and many have and are reaping the benefits. 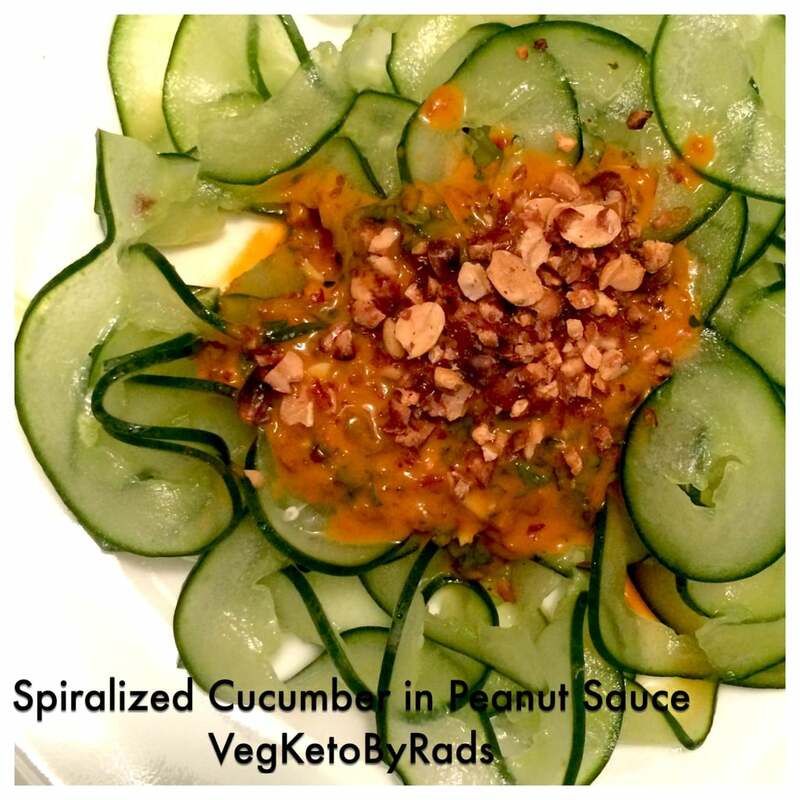 Heck, I even have close to 150 pins here all on Vegetarian Keto recipes/ideas. Keto’s become so mainstream that many grocers are now stocking what used to be considered specialty items in 2016. Within 2 years things, Keto’s sparked a whole new revolution in the fitness industry and has helped plenty. YAY! I cycle on and off restricting carbs – slow carb or low carb every few months, but 2018 has been a rough year. Our bodies are not just machines, chugging away. Emotions, life, and situations outside of our control tend to mess with our heads, despite however you hold your inner peace and well, our bodies are affected. Clinically put, Psycho-Somatic Disorders. Not an excuse, but despite doing what I normally do, my body has a mind of its own (haha) and that with menopausal changes (again, am frikking too young to be menopausing, but whatever), I put on 30 pounds. I didn’t even have to weigh myself to know, my knees just couldn’t handle me anymore and I started crying into the pillows and with the general feeling of malaise and since Thanksgiving, it’s been a downer. The new year came and I was still feeling meh, doing my daily things, but not feeling as good and bright as I knew in my heart that I should be. THEN I go to the gym, and next thing I know I stood on the InBody Body composition Analysis machine and the printout says I have a whopping 42% of fat in me. WTF! Imagine that! It was a punch in the gut. How can 2 months of relaxing and eating some sugar along with cortisone do that? It didn’t, it just added on to the cortisol already developing in me over the year. So, I snapped, and decided this week was the time I was done wallowing around with my sorry self, and that’s when the phrase “when you decide, the Universe conspires to hand you etc..” came true and I fell upon this website. 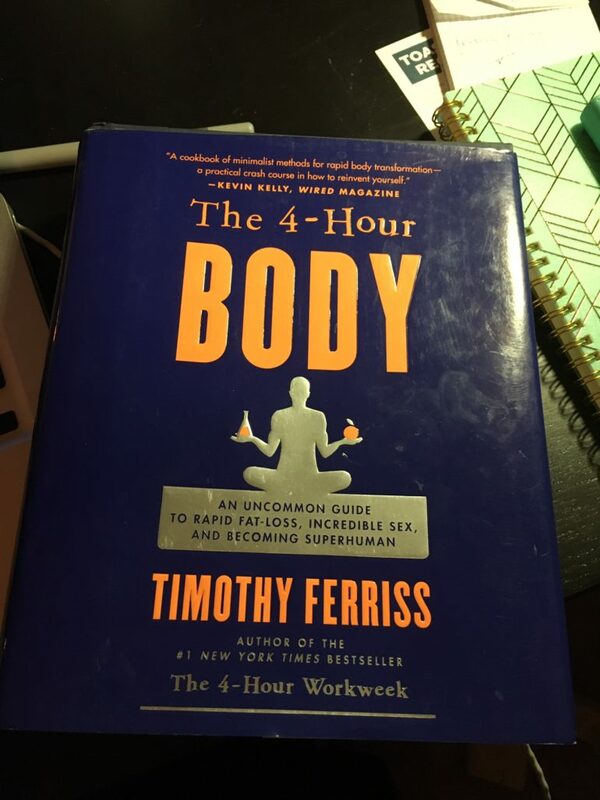 I listen to Tim’s podcast, and Ive heard of his 4 hour week, but this was new. So, I burrowed myself into all that the Internet, Pinterest, Instagram and Reddit offered and went over to Barnes and Noble and spent 3 hours (between chauffeuring) on the book. The book, simply put, is nuts. It walks you through the diet, what worked for him, the slow carb idea and why slow carb and It made me feel like I was back in undergrad and pouring over scientific formulae, sorta like a textbook, but what I managed to understand was good enough for me to want to try it. I suggest you hop over and read the links below if you’d like to get a more in-depth understanding but in a nutshell, Ferris outlines 5 rules to follow for the diet. Rule 1: No white carbs. No carbs. Rule 3. Have only non-calorie drinks. Rule 5. Take a day off and eat whatever you like. Dissecting this from how easy or hard this was to adapt, (and even if I should) and some bulbs went off. LENTILS AND BEANS – this group alone made me so happy! IMAGINE the possibilities! Minapattu? Urad dal dosa? YES! Mexican salad with black beans? YES! …and am sure more will pop up as I think, but how cool and how awesome is that for an Indian tongue! NO CALORIES COUNTING OR MACROS: That doesn’t mean I stuff myself silly, but the pressure to hit all the macros isn’t that stringent. That’s a relief. The food journal will continue. CHEAT DAY: Hello, cheat day. It’s your basic carb cycling, but it’s a weekly thing, so that’s a good thing right? PROTEIN: I worry about how much I can live on eggs. That was also a challenge for me while on Keto, and considering Whey protein is out, and so are the nuts which have to be consumed in moderation, so am unsure how I will manage to hit 20% protein every meal. Beans, Chia seeds and, Eggs are the only two sources for the Vegetarian. The idea is to stick with the slow carb diet (loosely) for a month and see how it goes. I will be recording my daily thoughts and experiences (and will publish once a week). Let me clarify, am tweaking his 4HB according to what works for me. If you read the book, he suggests cold showers and sleep broken into naps etc, those look and sound harsh and extreme and on occasion needless. Thing is, no matter what diet or science one would like to follow, it’s super important to use your head, your thinking and do what works for you with some trial and error. There are posts on the internet that list the cons, like this one and this one, and a few that say it worked for them, like this one and then this. Just like Keto, there is a whole subreddit here. Ruled.Me has a fantastic post on all the various diets that work and why. The “Getting Started to Slow Carb Diet” 29-page long summary is exceptionally written and recorded. 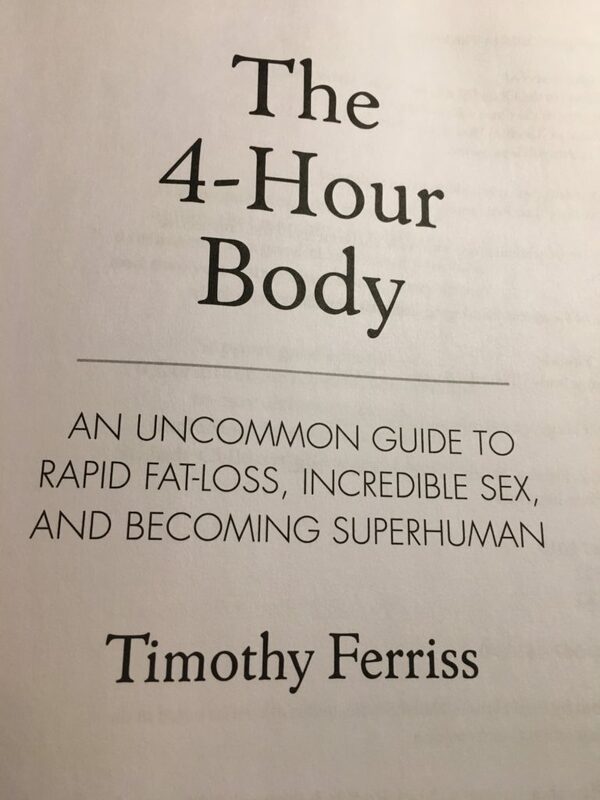 The r/ user has boiled a 400-page original Tim Ferris’ 4 Hour Body, down to this, and it’s answered most of the questions I have for now, and I have a fairly good idea of where am going. Ultimately, it ALWAYS comes down to what works for you, your body, your lifestyle and if you are able to manage it and perform at your 100%, then that’s the idea way of eating/lifestyle for you. Listen to your body, pay attention to your energy levels, check the inside of your body, be diligent, keep track of the your body composition with blood tests and Fat measurements, and just really educate yourself. Every blog/post/book/guru will tell you based on their experience, and some ideas are very clear and true and will hit you in your face, but some are not, and you will have to figure what works. I am trying. I have to do whatever it takes and fight against my body, to reduce fat percentage and drop 30-40 pounds, so I can live pain-free and function as agile as I feel in my head. 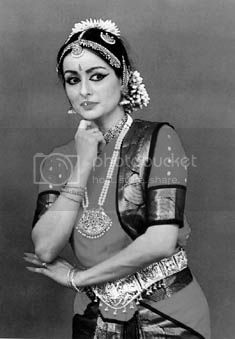 I have menopause, bad stiff knees with osteoarthritis and my weight that prevents me from jumping into a zumba class (god, how much I would that) or go back to Kuchipudi (I choke every time I look back at my times/pics) or run on the treadmill so I can continue to keep my metabolic rate high. Therefore, I have to keep trying different alternates. I am adding weights/strength training back into my week. What I have realized, and painfully so, is that life and our journeys are in need of constant work. There is NO ONE end goal or pinnacle in sight. It’s just one long road and you find successes along the way, you will get distracted and fall on the scenic route and maybe drop down a cliff or two, but if you really want to, you will find yourself scaling back and will find your path again and it starts again. This is 2016 all over again. If I could do it then, I should be able to do it again. Wish me luck. No, wish me diligence. There is no such thing as luck, mostly. Observations and My Progress by Week. So, how did I do? This regimen sounds doable for me! Thanks for sharing. Keto sounded good but being a vegetarian and hating cheese didn’t give me much options. I can have sambhar and pesarettu on this regimen, I am sold. This is something I can do as a lifestyle, I think. I will read more! Good luck to you and as always looking forward for more inspirations from you.